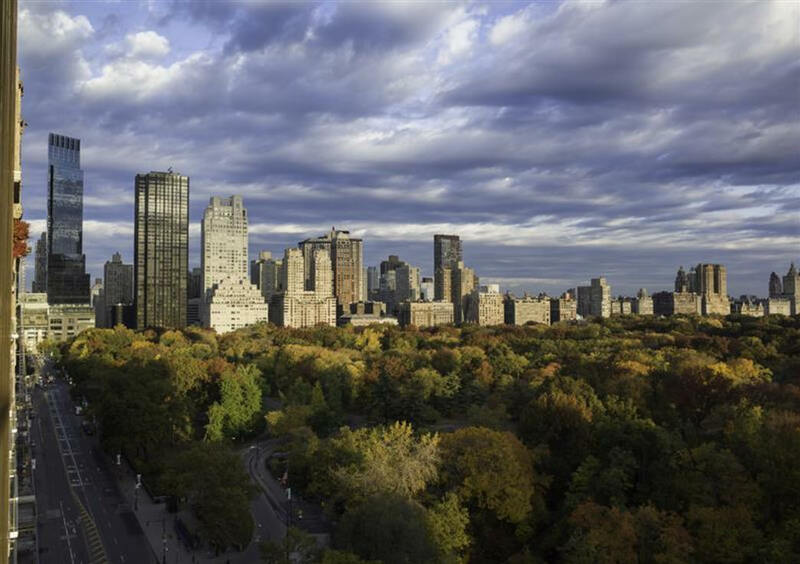 If you’re looking for a quick ride at lunch, or a fun family weekend adventure, but don’t have time to leave the city, Central Park is the place to go. 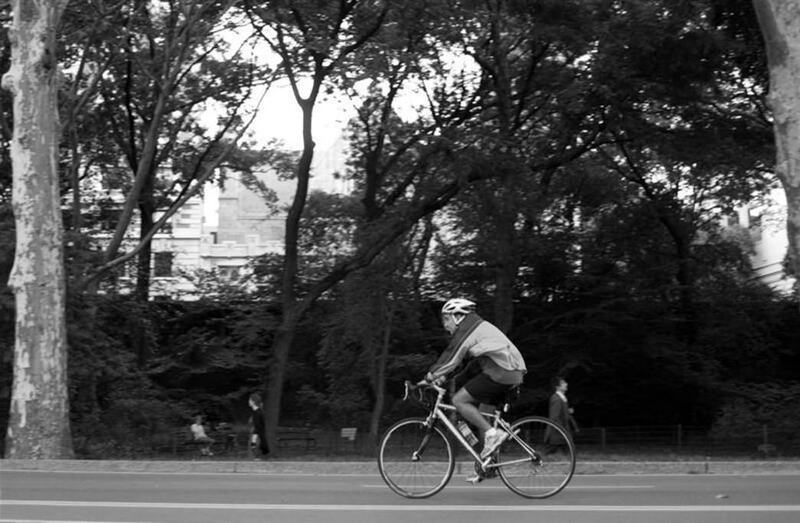 Right in Midtown at Columbus Circle, you can hop in and enjoy a 6-mile loop around the park, closed to traffic during lunch hours and in the evenings. If you didn’t bring a bike, you can easily rent one there, and it’s a great way to see all of the park’s attractions. Designed by Calvert Vaux and Frederick Law Olmsted, the park’s landscapes are breathtaking, and its 843 acres boast a ton of natural and manmade attractions. You’ll roll past the Great Lawn—all 55 acres of it, often filled with picnickers and sunbathers—and past the massive reservoir (which features a great 1.5 mile running track). There are cherry blossom trees blooming in the spring, plus ­­­a skating rink, baseball fields, tennis courts and even fishing. The Strava segment to attack is the six-mile loop around the park, and the men’s time to beat is 11:52, while the top women’s time is 12:44. Bear in mind though, the park has a 25MPH speed limit, so attacking the Strava could potentially net you a ticket. Honestly, the ride itself is fairly unimpressive, but it has the massive benefit of being a ride that you can do in the city, without straying far from the office. It’s safer than weaving in and out of traffic to get a lunch ride in, and it is an iconic ride for a reason—it’s a New York City classic! It gets crowded even at lunch, but use the people ahead of you to inspire new PRs, and revel in being part of the fitness-minded minority in New York. While lunchtime rides are great for in-park intervals, it’s ultra-crowded on weekends, so consider a more leisurely pace if you want to ride on a Saturday afternoon. 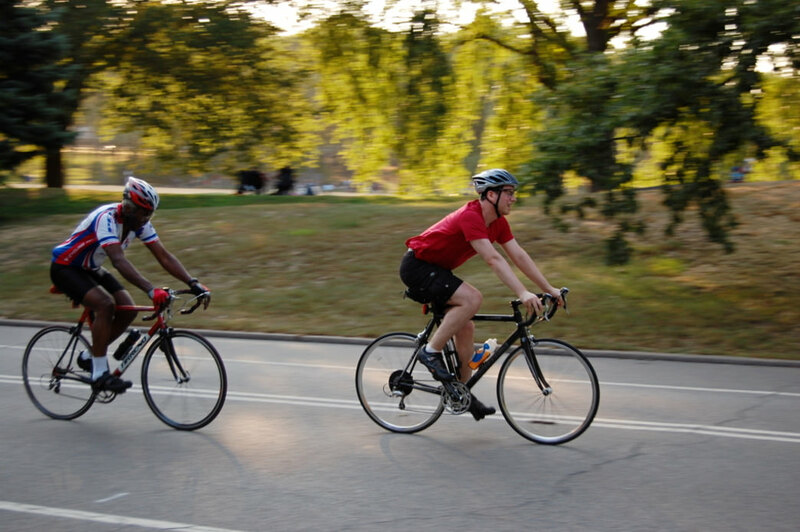 Weekends are definitely better for fun family rides or rides with your significant other, since weaving through cyclists and pedestrians to keep your heart rate at the appropriate range for your interval is unpleasant at best, unsafe at worst. 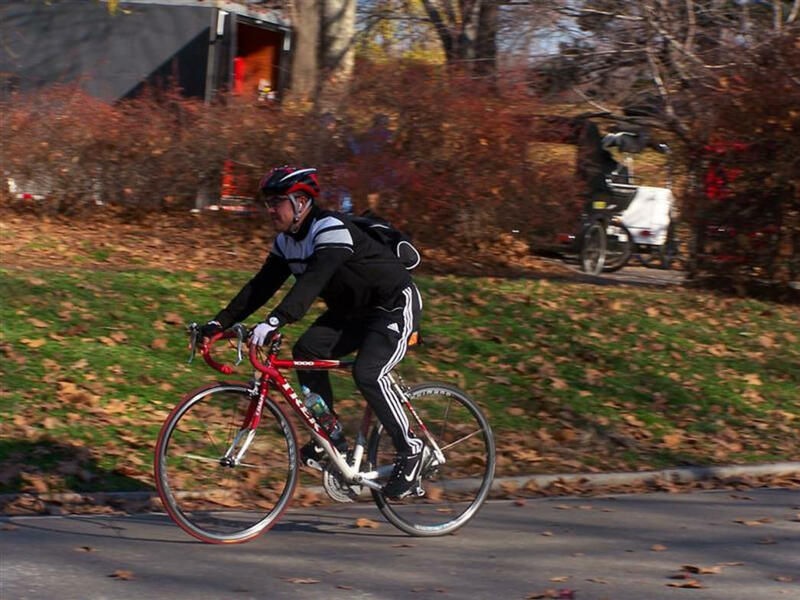 As it gets colder, the park gradually becomes less crowded, so when it’s legwarmer season again, you’ll be in much less cramped riding conditions. 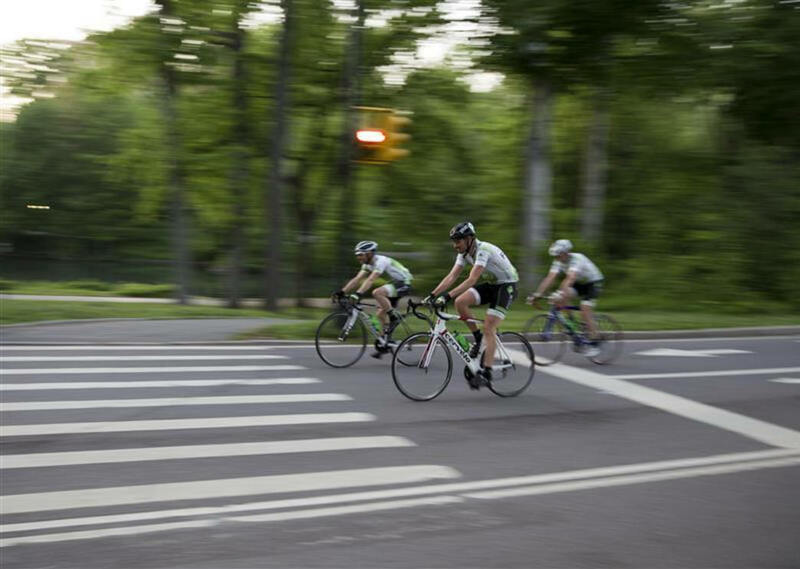 After you finish your ride, you can take advantage of being in a great area for awesome food, or go classic and have a snack at Tavern on the Green right in the park. Or stuff a hot dog from a vendor in your jersey pocket and roll over to the Great Lawn for your own picnic—no one will judge you on your spandex. 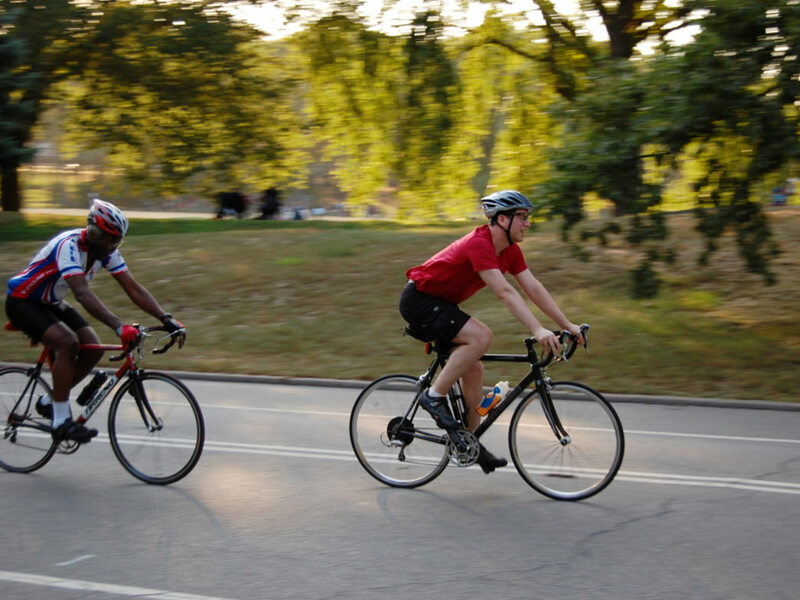 Central Park is a great place to get a quick ride in before work or at lunch. It's also a good place for a family adventure! It’s not a great ride when it’s open to traffic, so for maximum fun and safety, plan your ride on weekdays from 10 AM to 3 PM or 7 PM to 10 PM, or anytime from 7 PM on Friday until 6 AM on Monday, when the park reopens to drivers.